By the end of this month, Pennsylvania State Police officers will be required to file a report any time they call immigration authorities to the scene of a traffic stop, detailing the circumstances behind the call, the agency said Wednesday. This change comes two months after ProPublica and the Philadelphia Inquirer published an investigation about state and local police officers in Pennsylvania helping Immigration and Customs Enforcement round up immigrants for deportation, using tactics that raise questions about racial profiling and unlawful arrest. The story focused on Pennsylvania state Trooper Luke C. Macke as an extreme example. In 2017, Macke turned over at least 19 undocumented immigrants to ICE after interrogating them about their legal status and detaining them for up to four hours without a warrant. Across the U.S., cities and states have wrestled with their relationship with ICE. Some jurisdictions have explicit partnerships with the federal agency to train and deputize their officers to enforce immigration laws. Many others — including the cities of Philadelphia and Pittsburgh — have implemented restrictions against officers questioning people about their immigration status and cooperating with ICE, worried that their agencies may come under civil rights scrutiny and alienate immigrant communities. Lawyers have warned that police departments could run into legal trouble by detaining people for ICE. The Supreme Court has ruled that it is unconstitutional to prolong traffic stops beyond the time it takes to address the traffic violation. In addition, the court has written that “detaining individuals solely to verify their immigration status would raise constitutional concerns.” The Fourth Amendment protects non-citizens as well as citizens from illegal searches and seizure. The Pennsylvania State Police has given wide discretion to its officers in the past and did not have specific policies for handling immigration checks. 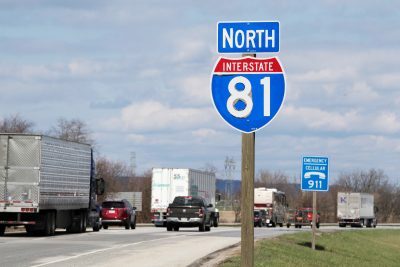 Ryan Tarkowski, a spokesman for the department, previously said that the state police considers each traffic stop unique and places a special responsibility on its highway patrol officers to be on the alert for drug, gun, and human traffickers and to reach out as necessary to federal agencies. The department now says it plans to release an updated policy to guide troopers on their interactions with outside agencies later this summer. Lawyers and advocates say it is so far unclear whether the new mandates will result in fewer immigration calls, even if officers are required to file extra reports. 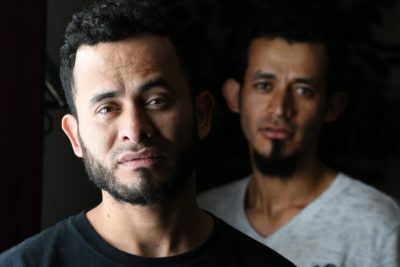 “It is disturbing that the Pennsylvania State Police is aware that their troopers are detaining individuals or prolonging stops solely to enforce immigration law, yet they have created a so-called ‘update’ to their management system that does little to stop this illegal practice,” said Ricky Palladino, an immigration lawyer who has represented two people detained by Macke. Questions remain about the new reporting requirement, including whether the information will be entered in a way that can be tracked and counted, and how the department plans to use it. The state police announced the change Wednesday as ProPublica and the Inquirer prepared to publish a story saying that Macke had turned over more immigrants to ICE after detaining them for hours. On the morning of May 10, a month after the first story ran, Rebecca Castro and her fiancé Carlos Amaya-Castellanos were stuck in traffic near the rural town of Dillsburg when Macke waved down their Chevy Silverado pickup truck. Castro, who runs a business installing carports, said she told her fiance and their 19-year-old employee to stay calm. Neither of the men had legal status. Amaya-Castellanos had come from Honduras on a temporary visa to work for a tree-spraying company, but after the business started withholding his paychecks and didn’t renew his visa, he joined Castro in launching their own venture. He and Castro planned to take care of his paperwork once she settled a divorce and they married. He was a hard worker, Castro said, who never drank or partied. And she, a U.S. citizen born and raised in Idaho, was always behind the wheel. Castro had been pulled over in Pennsylvania a few times before with the two men, but it had never caused a problem. In each case, officers always directed their questions to Castro, checking her license, insurance and registration, and issuing any tickets. But Macke quickly focused on her passengers. After Castro passed Macke her license, “the first thing he asked me is whether the people in my car had legal documentation, or whether they were aliens in the United States,” Castro said. She protested, arguing that it was “none of his business,” and he should stick to questioning her, the driver. “That’s when he told me that my vehicle was suspicious, and then he also told me there was human trafficking in the area,” she said. Macke held her two passengers for almost three hours until ICE officers showed up. Both men are now fighting deportation. The state police spokesman said Macke had observed “visible equipment violations” when pulling over Castro, and wrote her three tickets, the most serious one for driving a commercial vehicle that had been put out of service. The previous story, which included a review of 30 traffic stops by Macke, noted that the trooper asked all Hispanic passengers for identification, yet only once questioned a non-Hispanic passenger, and only after the driver notified Macke that he had a gun in the car. Saying they don’t disclose personnel matters to the public, a spokesman for the agency refused to say whether Macke was disciplined for the cases detailed in the April report, including an instance in which he allegedly questioned and detained a man who was using a soda machine in his police barracks after hearing him speak Spanish. Macke did not reply to a message left on his personal cellphone this week. Lawyers said that without transparency about consequences for officers, or what is considered acceptable behavior, it will be difficult to know whether the new requirement will make a difference. Inquirer reporter Michele Tranquilli contributed to this report. Do you have a story to share about immigration enforcement? Contact [email protected].